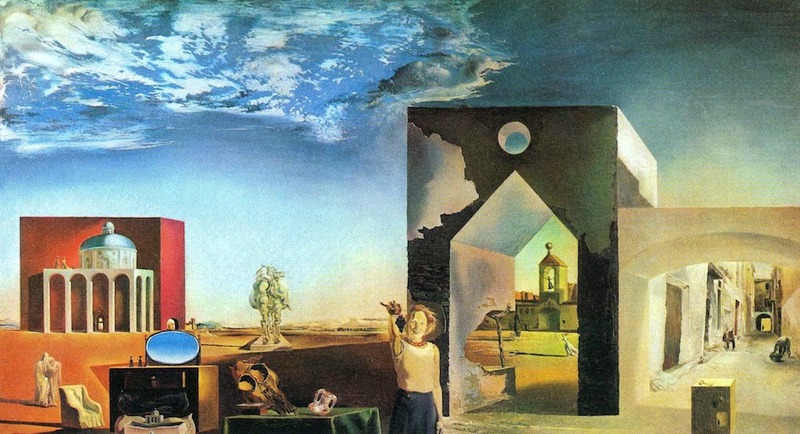 The complete title of this painting is Suburbs of a Paranoiac-Critical Town: Afternoon on the Outskirts of European History, and the artist is the Spanish painter Salvador Dalí. Although Dalí has very strong supporters, he is not one of my favorite painters, and I don’t like this particular work very much. 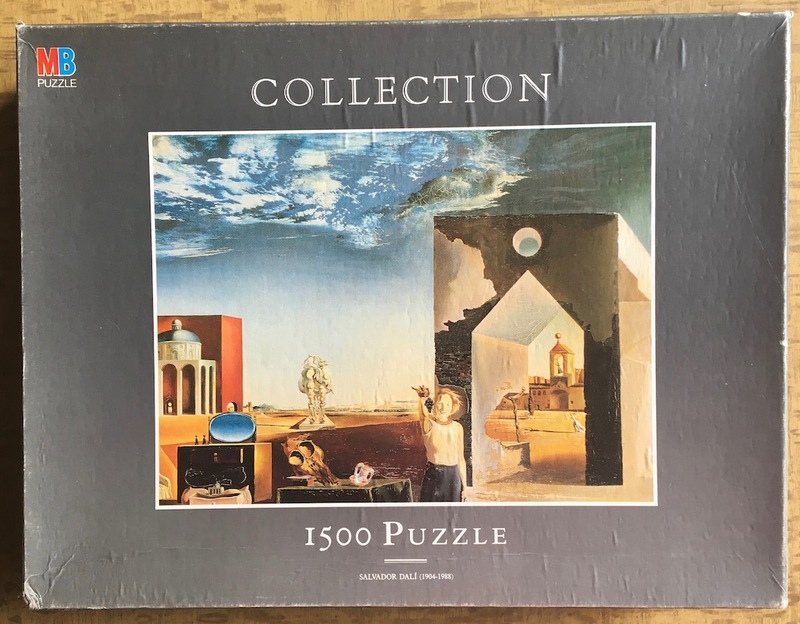 I think I bought the puzzle because it was rare and it was a way to add variety to my collection. The puzzle was manufactured by MB. 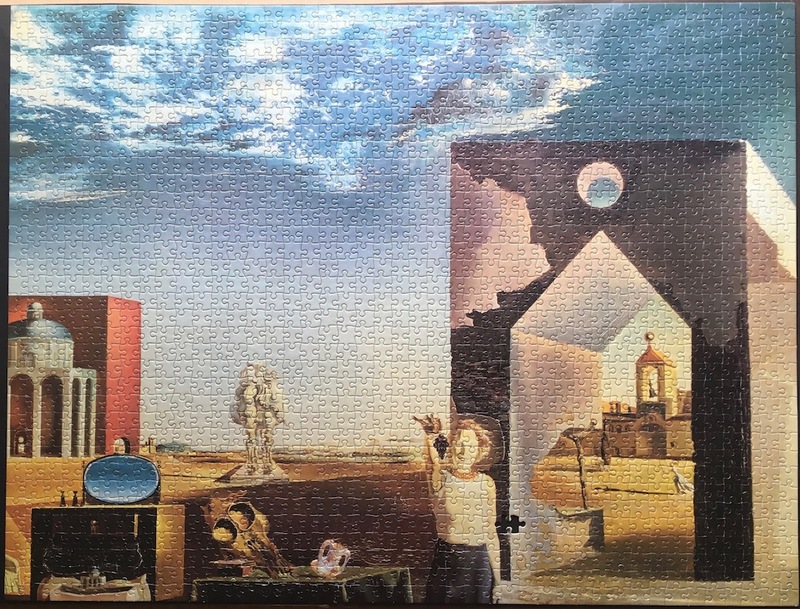 The image in the jigsaw puzzle represents only a part of the original. Surrealism is difficult to understand, and it is even difficult to relate the content of the painting and the title. Perhaps they thought it wouldn’t make much difference to crop the image and leave out what I think it’s a significant part of the content. The puzzle was very easy to assemble. It was completed during the summer of 2014. Once piece was missing and the puzzle is now offered for replacements at the Missing Pieces section. 1500, MB, Suburbs of a Paranoiac-Critical Town: Afternoon on the Outskirts of European History, Salvador Dalí, 79 x 60 cm, Reference Number 3753.23.